Now, Samsung always offers freebies or other interesting incentives with pre-orders, and this year won't be an exception. The folks over at GalaxyClub have learned that Samsung plans offer the Galaxy Buds (aka Galaxy Ear Buds) for free to those who pre-order the Galaxy S10. 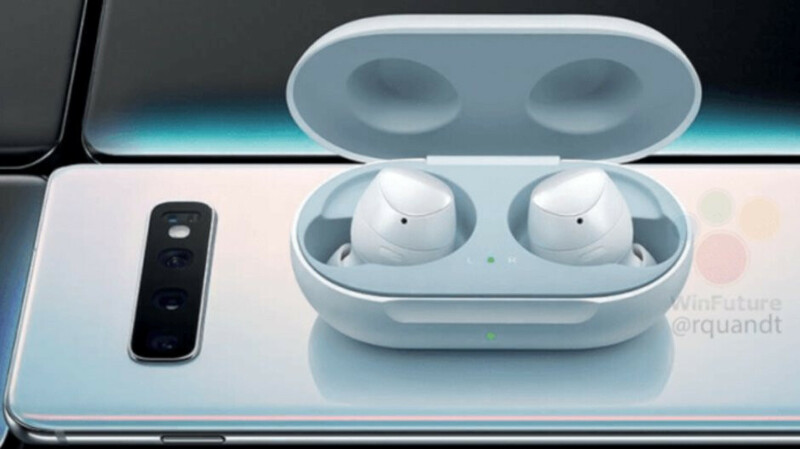 The new Galaxy Buds are supposed to be unveiled alongside the Galaxy S10 family, but if Samsung plans to offer them for free with pre-orders, it means that they aren't part of the retail package. The information comes from the source code of the official teaser page for the Galaxy S10 on Samsung Russia's site, but that doesn't mean that the offer will be available in all countries. Does it also apply to the s10e? Samsung Reps are showing these off and I got to play with the S10+. It's beautiful! Here are the takeaways. Punch hole is not that bad. Your eyes will adjust. What bezels?? Fingerprint sensor is in the display, triple cameras or rear, wide angle is insane regarding the field of view. Reverse charging is a go as I charged my XS Max on it as well as my galaxy watch. The white color the rep had was okay, he did say pink was option as well. The speakers are louder and more robust. He also said the foldable phone is definitely on the way and it's even more beautiful. There were two avid iPhone users there and they were wowed and said they are switching for sure. I can't wait!! Pff, Samsung don’t believe in success and prepared gifts and discounts. if it seamlessly connect with samsung devices like the airpods, ill go all the way for those. Why not bundle their new flagships with 4k TV, galaxy s9, washing machine, laptop and tablets. isn't yours bundled with people watching you splurting on tim cook on facetime before you answer it? Awwww, don't get upset you get nothing but things taken away. Beside, i dont need all that to come with my note 10, i have it all already, well not the s9, but don't want it. The king of all phones is coming, the note 10. Why not bundle a fast charger with the iPhone X/XS? I mean you are paying a $1k or more. Apple customers feel better paying for it rather than getting things for free. Why won't Apple bundle a dang fast charger? Why wont Apple bundle a Qualcomm modem? Why wont Applw bundle split view, picture in picture and Pencil support for the iPhone?